Port Macquarie Triathlon Club will be organising beginner training sessions co-ordintated by the club training co-ordinator Ian Lewis. Details of upcoming sessions and how to participate in these very friendly and supportive sessions will be posted regularly, keep an eye on the website and the facebook page. 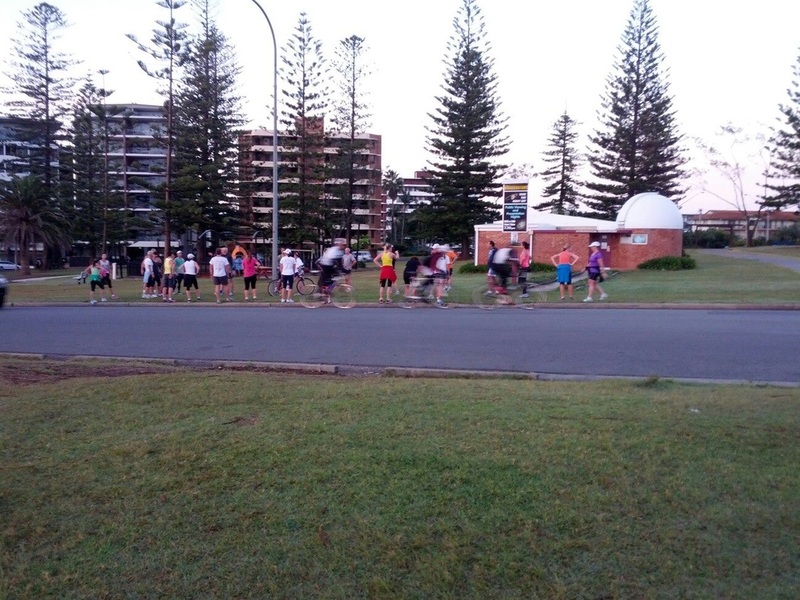 On a less structured basis, there are a number of social training groups in and around Port Macquarie where you’re likely to run across our Tri Club members. A summary of these is listed below. There are no training fees required for any of the informal sessions listed here. Similarly however, these groups have not been sanctioned by PMTC or TriNSW, and there is no insurance cover for any of these sessions. Please be aware of that before heading out to meet up with one of these groups. There are a variety of pool and open-water swimming sessions held around Port Macquarie during the week. 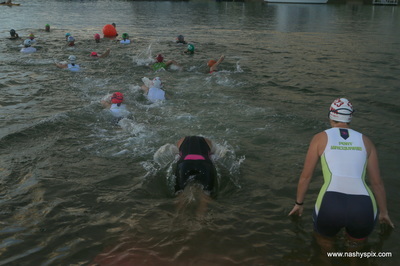 Generally, the open water sessions occur only during the warmer months of the year, essentially coinciding with the Triathlon season (say from September to May). A regular open water session occurs at the Sea Rescue shed in Buller Street each week-day @12.30pm, and on Saturdays at 2.00pm, so you're guaranteed to have someone to swim with at those times. ​Remember that if you’re swimming in open-water, tell people where you’re going, always swim with a companion, and always wear a brightly coloured swim cap to ensure you’re visible to boats and other vessels. Naturally enough, it’s always best to steer clear of navigation channels and areas of heavy boating traffic. Pool sessions are held year-round, although it is to be noted that the Council run Olympic-pool in Port Macquarie shuts for maintenance during the month of July. Full details of the pool’s schedules and facilities can be found here, as can contacts for the local Swimming Clubs. There are a large number of group rides that occur during the week. It is important to remember that riding in a group requires a great deal of skill and trust in all cyclists that you’re riding with. It is therefore imperative that you’re a cyclist of intermediate standard and are able to maintain control of your bike under all conditions (rain, hail or shine). Keep to the road rules at all times. Always indicate your intentions, be courteous to other road-users, and ensure you wear bright coloured clothing and lights (strong white at front, red flashing at rear) for riding in low-light conditions. As a well recognised sporting Club in the community, it is our responsibility to act as role models and to portray the Hastings’ cyclists as a responsible and law-abiding social group.
! And please remember to keep your voice down while riding within residential areas in the early hours ! Note also that the behaviour and riding practices of a particular cycling group may vary from 1 group to the next – for example, in which direction a roll-over may occur. 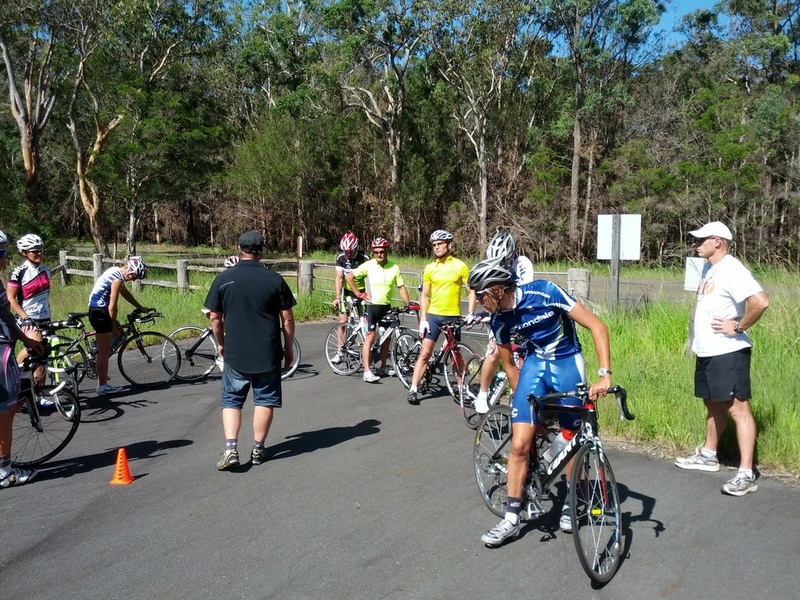 The Port Macquarie Cycle Club’s website contains valuable tips and advice regarding riding in a group. If there’s one big mistake that a triathlete can make, it’s riding on the aerobars during a group-ride (even if you’re taking a turn at the front). A cyclist in the aero position doesn’t have immediate access to their brakes, and has much less control of their bike in general. Not only is it extremely dangerous to ride in close proximity to other riders in a fast-moving group in this fashion, it also immediately singles you out as an inexperienced rider unfamiliar with common bike etiquette. There are a number of informal running groups meeting on various days of the week who welcome newcomers. Chat to your fellow tri-club members about their favourite catch-up times/venues. And of course, the Park Run crew have 2 events in the area every Saturday morning, one in Port Macquarie and the other in Wauchope. Check their website for course details and group start times. If you have a particular training group meeting regularly and would welcome others to join you, why not go to the Club facebook page and put a message out to other members, or contact us here through the website and we’ll upload your details. Have fun, and train safe!